Two races were sailed yesterday in a 10 kn wind. 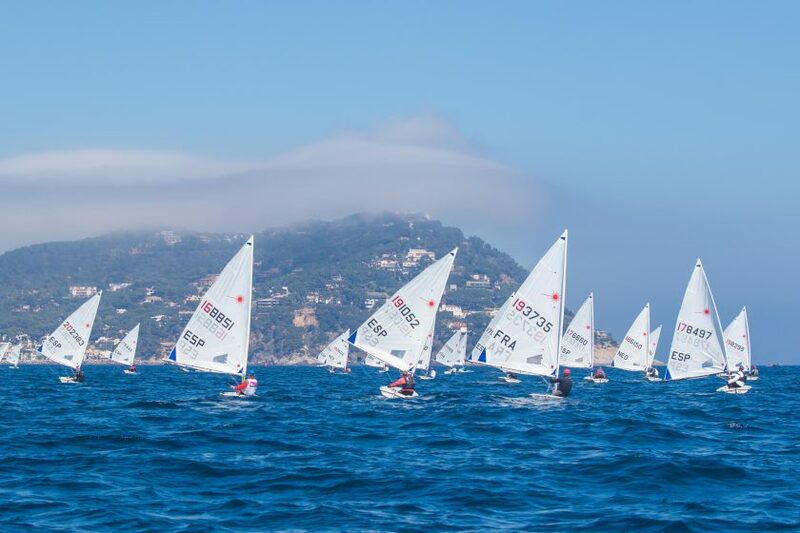 In the Lasers Standard, the final outcome seems to be clear before the last races today with Carlos Martinez ESP 13 points ahead of Carlos Echevarri ESP. The day’s best Javier Munoz ESP moved up on rank 3. 11 points is the advantage of Monica Azon ESP in the Radials. Wilmar Groenendijk NED and Free De Miranda NED are the first persuers. All ranking lists and the daily news (in Catalan).